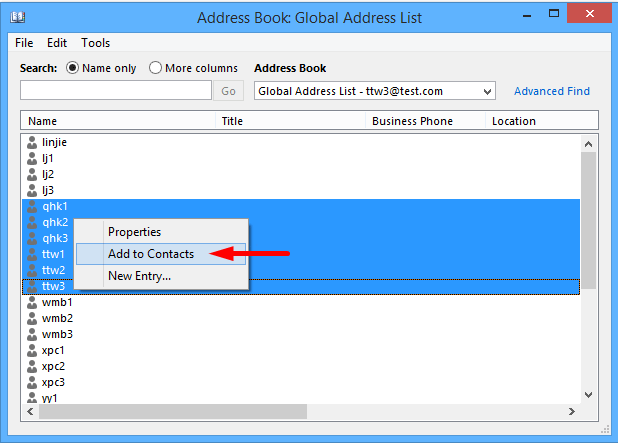 In Outlook 2010 and 2013, click the Address Book button on the Home tab. 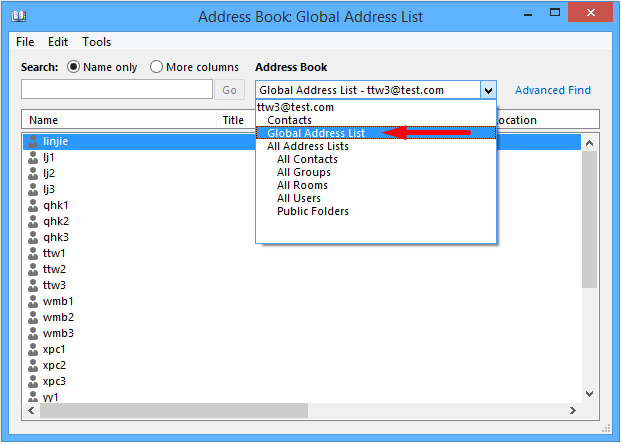 Step 2: In the coming Address Book dialog box, click the Address Book box, and specify the Global Address List from the drop down list. Step 3: Click to highlight the contacts you will add to your own contact folder. (2) Hold the Ctrl key, you can select multiple non-adjacent contacts with clicking each contact one by one. Step 4: Close the Address Book dialog box. Now all selected contacts in the Address Book are added into the default contact folder of the default Outlook data file in your Outlook.